If you are sharing your wifi or using wifi with no wifi password, there are the chances that outsider will retrieve your eLife/Al Shamil username and password and use them somewhere else. Here I will describe a simple method to block unauthorized access to your router and the method is to modify default login username/password of the router. Here is illustration to keep password on Aztech 605E (single antenna) router. 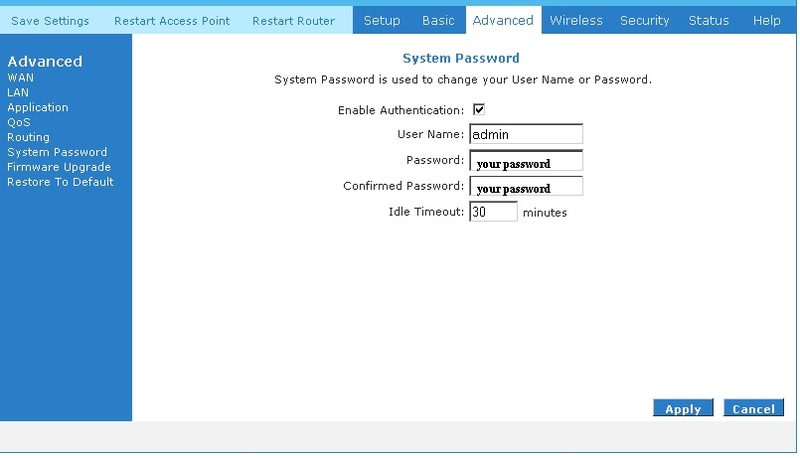 Now whoever will try to access your router, the router will ask for username and password.